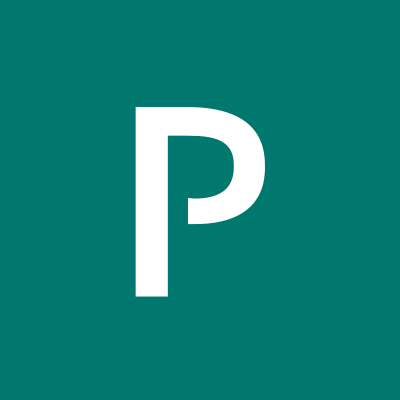 Pivotal Software combines platform, tools, & methodology to help the worlds largest companies transform the way they build software & run their most strategic applications. Our technology is used by Global 2000 companies & developers to give software development & IT operations a strategic advantage. Founded in 2013, Pivotal unleashes software-developer productivity & creates an environment for innovation to scale, while fulfilling our mission to transform how the world builds software. Were committed to increasing representation of POCs in the tech space & would like to take a bigger step in the right direction by formalizing our investment in HBCUs as part of a broader strategy to increase diversity & inclusion at Pivotal. With a team of dedicated members & the strong support of Pivotal leadership, were inviting new graduates to join & contribute to our unique culture of doing the right thing, doing what works, & being kind. The Pivotal Rise Program is a full time, entry level pilot program designed for graduating students from Historically Black Colleges & Universities (HBCUs) who are interested in a career in engineering. Students from all HBCUs who identify with a group that is historically underrepresented in the technology industry, including but not limited to Black, Hispanic and/or Latino, Native American, students with disabilities, & veterans, are encouraged to apply. Our vision for the Pivotal Rise Program is for participants to learn, grow, & thrive in their careers & professional communities as part of a carefully selected cohort. Through your day to day work on the Pivotal Cloud Foundry Engineering Team, you will pair with senior technical engineers, & you will have the opportunity to take advantage of unique, career-changing opportunities, including: pair programming, mentorship from experienced engineers, integration into professional communities such as employee resource groups, & exposure to real software that transforms the industry. You will also have the opportunity to engage one-on-one with the Pivotal leadership team & explore long term professional development opportunities in our challenging, inclusive, & enriching environment. At Pivotal, you will find a community in your cohort, team, office, & the company at large, & we are excited for you to contribute to our unique culture of doing the right thing, doing what works, & being kind. Lastly, as part of the inaugural cohort for this pilot program, you will have a direct role in influencing the design & direction of the program itself. You will not only be an architect of your own experience in the Pivotal Rise Program, but also have a meaningful impact on the experience of the next cohort of new colleges grads. At Pivotal, the opportunities afforded to you are endless based on your individual goals, aspirations & skills. We value an environment of continued learning & development. Being a part of the first cohort means you have the unique opportunity to accelerate your career & shape the future of Pivotal Rise. You are looking for a collaborative environment & pair programming is something that you want to try out. You love shipping features, but know that well factored code is what lets you keep shipping features in the long run. You judge your success by the success of your team; you are interested in learning about distributed systems; & you are excited to work on open source. You are also a part of creating & shaping the strategy for our Pivotal Rise program. You have the opportunity to impact & leave your fingerprints on the company & industry. 9:06 AM - Office-wide stand-up to build office cohesion & start the day off together. 9:30-12:30 PM - Start pairing, tackle an open GitHub issue & open a pull-request. 12:30-1:30 PM - Lunch! Go for a bite, run an errand, or join a book club. 1:31-6:00 PM - Get back with your pair & start an acceptance test for a big feature. We pair program, all-day every-day, because we know it delivers remarkable results. We work in small teams, & rotate among them frequently. We believe in working at a sustainable pace we know there is a life outside work, & we want you to be able to spend time with family & friends. BA/BS in Computer Science or related field from an HBCU, but we will accept applications from students who may be majoring in a field outside of engineering but know how to code, & want to go into tech. Comfort navigating ambiguity; ability to remain flexible & agile in a challenging & changing environment. Ability to dive into a polyglot codebase & contribute while learning. Interest in exploring new programming paradigms, languages, & patterns. Operations or Systems Administration experience, particularly on UNIX. Experience and/or interest in Test Driven Development (TDD) & agile methodologies. Contributed to an open-source project. For San Francisco-based employment, pursuant to the San Francisco Fair Chance Ordinance, we will consider for employment qualified applicants with arrest & conviction records.